This follows the same formula as the very first official Motown single, Marv Johnson’s Come To Me / Whisper in having a slow, gospel-tinged, piano-heavy doo-wop number as the flip of a more upbeat R&B pop smash. Just 18 years old and still in high school, Barrett Strong had no real desire to be a solo singer – like Eddie Holland, he often got nervous behind the mic and disliked live performances – and the A-side here was the strongest (ha) thing he’d ever do. You’d think, then, that being stuck under one of the great Motown singles would mean that Oh I Apologize suffered by comparison, but in fact, staggeringly, it’s almost every bit as good. Completely different, of course. The confidence which permeates Money (That’s What I Want), which made that song such a success, is still present in spades here, but the raw attack employed by Strong and the entire band on Money is replaced with something quite new here, a confident, measured performance where the band and the backing singers all find, and use, precisely the right touch. Strong is superb here, too, using his new-found belief and digging to the very depths to find an excellent gospel-inflected vocal performance, redolent of the early work of later Motown signing Marvin Gaye. It’s really rather special. Nowadays, everyone in the world knows Money and almost no-one knows Oh I Apologize, but between them these two Barrett Strong sides contain the foundation stones of everything the Hitsville USA legend was built upon – great songwriting, a world-beating band knowing what they could do and (more crucially) the difference between that and what they needed to do, near-perfect arrangements, and a buzzing energy and confidence that goes far beyond just singing loud and playing hard, and into the realms of knowing a record’s going to be good. 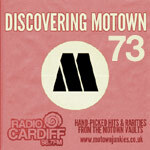 It would be at least another three years before Motown consistently delivered singles approaching this level of quality, but this pair of sides is such a major leap forward compared to what went before that Barrett Strong – reluctant, stage-shy Barrett Strong – should really be considered the first great Motown artist. I went through the whole 1600 odd track run myself and took a lot of time doing it. But no doubt with so much to do and being right at the start in the pre historic period, this flip side was no doubt lost amidst the drek just as it was all those years ago. I probably never would have checked it out again if not for your enthusiastic review. Thanks so much. Thanks to Robb for the ultra-rare scan of the first Tamla pressing! Absoultely agree with this verdict too! This is the first Motown A-B that is equally good on both sides. It interesting to here the Strong was uncomfortable behind the mic. It is also a little sad that when Motown is discussed this guy is never mentioned. I have always heard “Money” played on the oldies station, but I never knew who the artist was. I just assumed it was The Miracles and Smokey didn’t sing lead lol. Barrett delivery here is nearly perfect it’s not over done and it’s not too light. The only problem I have with this song is the backing voices. Was this the Rayber voices??? Hi. Don’t know the answer about the Rayber Voices. Mr Nixon or Mr Robb may know. How bout it gents? Do you know the answer to this young ladys question? Thanks! I’ve never seen an official listing of the background group. It probably was “The Rayber Voices”. But WHICH “Rayber Voices”? Was it the “Official” “Rayber Voices”, listed as Raynoma liles Gordy, Robert Bateman, Sonny Sanders and Brian Holland? Or was it the morphed group, using anyone who happened to be hanging around at the session (Eddie Holland, other Satintones, some of The Miracles, etc). Each year, there are fewer and fewer people around who might know. I guess we on Soulful Detroit Forum should ask Al Abrams if he knows. One would think that Robert Bateman would know. But he’s failed to remember answers to easier questions than that from times 50 years ago and more. Thanx Landini & Mr. Robb! Damecia. You are very welcome. Who are the back-up (background singers) on Barrett Strong’s “Oh I Apologize”? I’m guessing Smokey Robinson and his fellow “Shop Around” Miracles with wife Claudine belting out. Your blog, by the by, is absotootly wonderful!! It’s such a great song that it was totally ripped off by John Lennon! The lyrics and melody to the bridge of his song “Isolation” are almost exactly the same. I’m having GREAT enjoyment reading your record by record reviews of Motown singles. What an amazing project. I was 13 in 1960 and a Motown fan and buyer from near the beginning. Obscure records I missed earlier on, I later discovered and bought if I liked them. I still have most of them. I even have the Supremes/Tamla “I Want a Guy.” Obviously I don’t agree with some of your assessments, but that’s as it should be. I don’t agree with anybody about everything. The two HUGE breakthroughs for me as a fan were Martha’s “Quicksand” and the Sups’ “When the Lovelight Starts Shining…” And then “Where Did Our Love Go” became my fave record ever released by anyone. But Martha and the Vandellas eventually became my favorite Motown group, followed closely by the Supremes, the Marvelettes, and Velvelettes. I even bought Chris Clark singles and her first album. I was doing all of this in extremely segregated Louisiana in the 1960s. Anyway, thanks for so much good work.